This charming hotel is in Veracruz. The property is within 300 metres from the nearest beach. 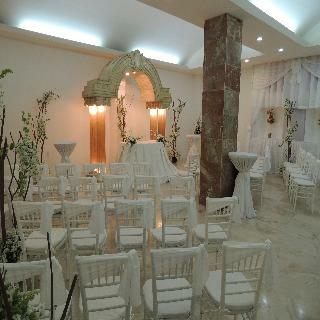 The property consists of 80 guests rooms. As a result of the constant commitment with quality, this accommodation was fully renovated in 2014. Wired and wireless internet connections are available at Posada del Carmen. 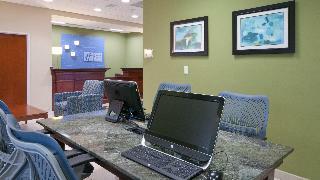 This hotel offers a 24-hour reception service, so that guests' needs will be fully met at any time of the day or night. This hotel understands that accessibility is important to all guests. For this reason, it features wheelchair accessible rooms and is fully adapted for easy access. Pets are not allowed at this establishment. Moreover, those travelling by car may make good use of the parking facilities. This modern city hotel is set right on the sandy Penacho del Indio Beach, just five minutes' drive from the World Trade Centre Veracruz and Las Americas shopping centre. The area features a wide range of shops and restaurants and the museums and monuments of the city's historic old town are within a 20-minute drive. The hotel's guest rooms are bright and cheery with air-conditioning, cool tile flooring and fabulous ocean views, while master suites also boast a large terrace for sunbathing as well as a living-dining room and a Jacuzzi. 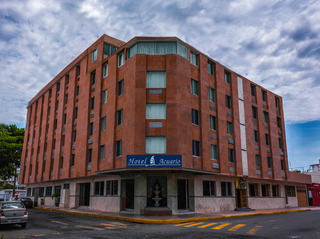 After a busy day of sightseeing and meetings, guests might go for a refreshing swim in the outdoor pool while children splash around in the paddling pool and play on the playground, and the hotel also has a gym, business centre, meeting and events rooms, and parking area, all for a productive business trip or relaxing holiday in Veracruz. Stay in the midst of both the commercial and business areas at the hotel and be conveniently located to complete your scheduled plans and enjoy the beach.Within walking distance, you will find the World Trade Center Veracruz, a state-of-the-art multipurpose complex, Plaza Las Américas Mall beside it and Plaza Sol and, the new Plaza Andamar, across the street from the hotel. Additionally, our location also grants you easy access to Veracruz International Airport (VER) and to San Juan de Ulúa, a fortress built during the 16th century.Back at the hotel, unwind in our comfortable facilities. Go for a workout at our Fitness Center; when needed, work from our Business Center with complimentary Internet access; and have a great start everyday with our delicious free-of-charge breakfast buffet.During your leisure time, you can take a relaxing stroll through the boardwalk enjoying the view. This comfortable hotel is in Veracruz. 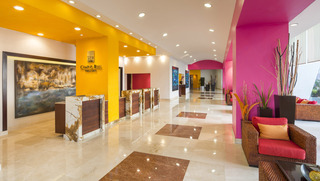 A total of 136 accommodation units are available for guests' convenience at Crowne Plaza Tuxpan. Crowne Plaza Tuxpan is not a pet-friendly establishment. 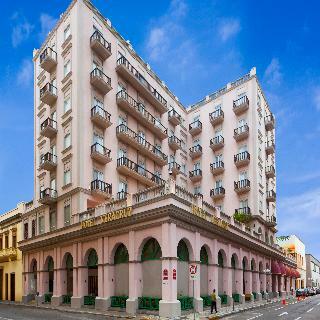 The hotel is situated in a beautiful, peaceful area of the city among tourist attractions and museums. It is close to one of the most important aquariums in Latin America and Veracruz International Airport. It is only 100 m away from the beach. 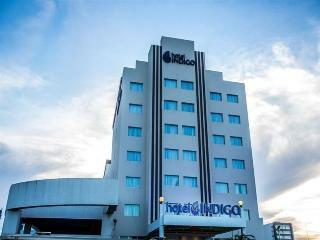 It offers comfortable guestrooms, elegant ballrooms, and exquisite Veracruz cuisine. The air-conditioned hotel comprises a total of 125 guestrooms and offers hotel safe, currency exchange facility and lift access. In addition the hotel features a café, bar, cloakroom, telephone, conference facilities and Internet/WLAN access. Room and laundry services are also offered. All rooms come with cable/satellite TV, an en suite bathroom, a safe and ironing set. Rooms come with double or king-size beds. There is a large swimming pool, bar and sun loungers. Breakfast is served as a continental-style buffet. Hotel is boosting a strategically location, only 8 minutes’ drive from the Tuxpan beach, the wonderful place to spend in family. For the holiday makers The Museo de la Amistad Mexico Cuba can be a good option or passing through the Parque Reforma to enjoy a fresh drink can be considered. For the nature lovers wanting to have a unique experience, customers can go to Bajo de Tuxpan, a beautiful reef area, where they can practice scuba diving or snorkeling for a couple of hours. For the business traveler, meeting facilities are available along with a business center, and for the other visitors, an outdoor swimming pool is provided, along with on-site restaurant and a fitness center. Spacious rooms with vibrant spaces were tastefully designed only to offer the highest level of comfort and relaxation. They have a bathroom with shower, hairdryer and coffee facilities, and a working area for the busy guests. A contemporary hotel, just minutes from gourmet restaurants, lively bars and vibrant nightlife, Hilton Garden Inn Boca del Rio Veracruz features direct access to the inviting soft sands of Boca del Rio Beach. Guests can enjoy easy access to the World Trade Center, just five minutes away, and the airport - only a 25 minute drive from our stylish hotel in Boca del Rio. Visit nearby attractions including the Port of Veracruz, the Aquarium of Veracruz and Isla de Sacrificios.Sip a chilled drink from your refrigerator as you admire beautiful sea views from a spacious guest room or suite at this Boca del Rio hotel. 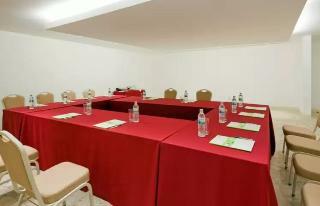 Enjoy amenities including complimentary WiFi, an ergonomic desk, an HDTV, a microwave and an MP3 alarm clock radio.Print documents and surf the web in the complimentary 24-hour business center and hold a business or social event for up to 400 people at this Veracruz hotel with 3160 sq. ft. flexible meeting space. Whether it's for a conference, training seminar or wedding reception, our dedicated team will be happy to help ensure the success of your event. Images of the old Veracruz lighthouse signal your welcome to the Hotel Indigo® Veracruz Boca Del Rio hotel — the most comfortable and unique hotel in our city. 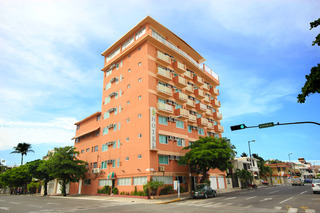 Located in the business district, just a few steps from Plaza Banderas where you can take in local culture, music and art. Or, you can head to the Malecon where a scenic waterside stroll awaits. Our architecture and decor highlight our neighbourhood's culture, noted, for instance, in the white drapes that bring to mind the twirling dresses of Jarocha dancers. Our cuisine also makes reference to our seaside port's heritage: be sure to enjoy the locals' favourite breakfast, Enfrijoladas Veracruz, with a coffee. This charming hotel boasts an idyllic setting just 150 metres from the beach in Veracruz. The hotel is situated within easy access of the city's main attractions, offering guests the perfect setting from which to explore the area. Guests will find themselves within easy walking distance of the main square, and in close proximity to a number of shopping opportunities and entertainment venues. This charming hotel features a blend of traditional Mexican and contemporary styles, welcoming guests with warm hospitality and charm. The guest rooms are tastefully decorated, featuring refreshing tones and a relaxing ambience. Guests are invited to dine in style in the restaurant, and savour the delectable delights of the area's traditional cuisine. Visit Veracruz with your family or friends or a business trip and stay at the best hotel near the aquarium. Villamar Hotel is a budget hotel in Veracruz port, 3-star and totally rebuilt to meet the most basic needs of our visitors. - The location of Hotel Villamar distinguishes us from other hotels in Veracruz port since we are just 150 meters from the pier and Playa Villa del Mar. If you come with your family or plan fun, come to visit the Plaza Aquarius 500 meters from the hotel because there you will find the Wax Museum, Ripley's Museum and of course the famous Aquarium of Veracruz. Our spacious double rooms are equipped with two double beds and can accommodate up to 4 adults. They have air conditioning, TV, Wi-Fi, coffee maker and spacious bathroom with amenities. Services included in the rooms: Air conditioning Cordless phone (free local calls) Internet Coffee Iron and board chair toilet with private bathroom with shower and hot water 24 hrs. and amenities: body towels, shampoo and soap, etc. Interior balconies overlooking the street and room service wake-up call service. Veracruz is a Mexican city that is sometimes known as the "port of the world" due to the many arrivals from all over the globe. The people here are very friendly, which will make your stay more interesting and pleasant. Veracruz also has many interesting places, including the Castle of San Juan de Ulúa, which was one of the Spanish Empire's forts, later used as a prison. The castle is near the centre, and so very easy to get to. There are cultural sites, like museums such as the Agustín Lara Museum (the musician's house, which was converted into a museum on his death), the Veracruz City Museum, the Naval History Museum, the Museum of the Mexican Revolution and others. Don't miss this city, full of attractions, visit Veracruz.